Regular Giving as a spiritual discipline is a grateful response to what God has done for us in Christ. 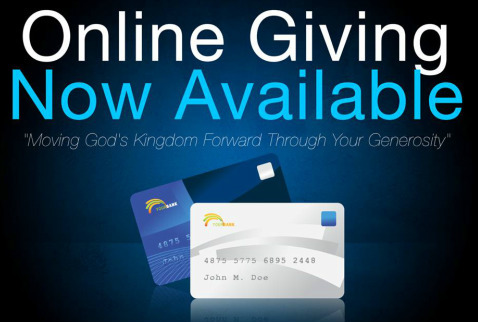 Regular giving will deepen your dependence on the providence of God. We are blessed by God in order to bless others. Giving as a spiritual discipline can change your life! Pray by thanking God for all that you have. Ask the Holy Spirit to open your mind and heart to a clear understanding of giving. Remember that security is found in God, not in material items. Think of money as a tool to be well-used in a variety of ways: Food and housing, transportation, education, charitable giving, etc. Decide to give a percentage of your income regularly. If ten percent seems like too much at first, begin with less and increase it each year until you reach or exceed it. Give back to God first, before you pay your other expenses. Beyond your systematic giving, find out about the ministry and missions of the congregation to see if there are ways you can help fund them, such as by providing a scholarship for a student or support for a missionary. Establishing an endowment, scholarship or dedicated fund for mission are some of the ways to honor those we love. Let us help you decide how to set up your memorial funds by considering how God is leading the congregation into the future, or the best way to honor your loved one within the existing ministries of the church. Consider a gift to First Presbyterian Church of Guymon in your will. Gifts may be direct and undesignated (for general use) or designated according to an existing criteria or for a specific ministry. Gifts may also be given through the management of the Presbyterian Foundation for the benefit of FPC. Consider a tax-deductible contribution to charitable gift annuity managed by the Presbyterian Foundation for the benefit of FPC, that will provide you with a guaranteed income during your lifetime and, if you choose, the life of another. received by FPC will be divided equally between the Operating Fund, Building Fund and Mission/Outreach.